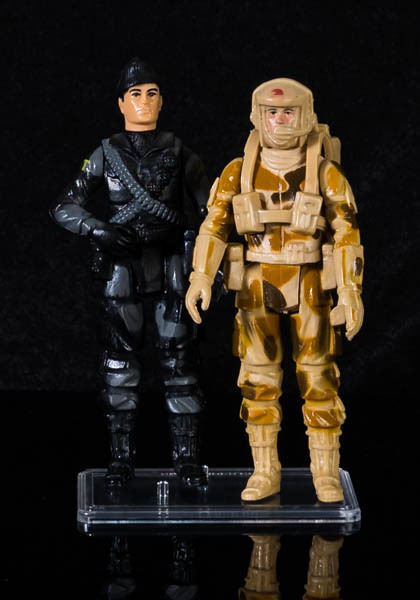 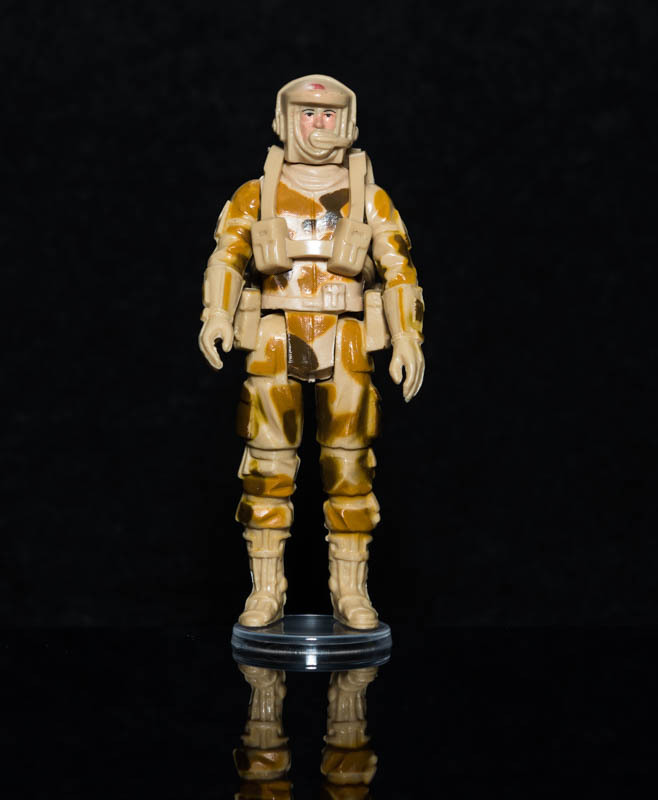 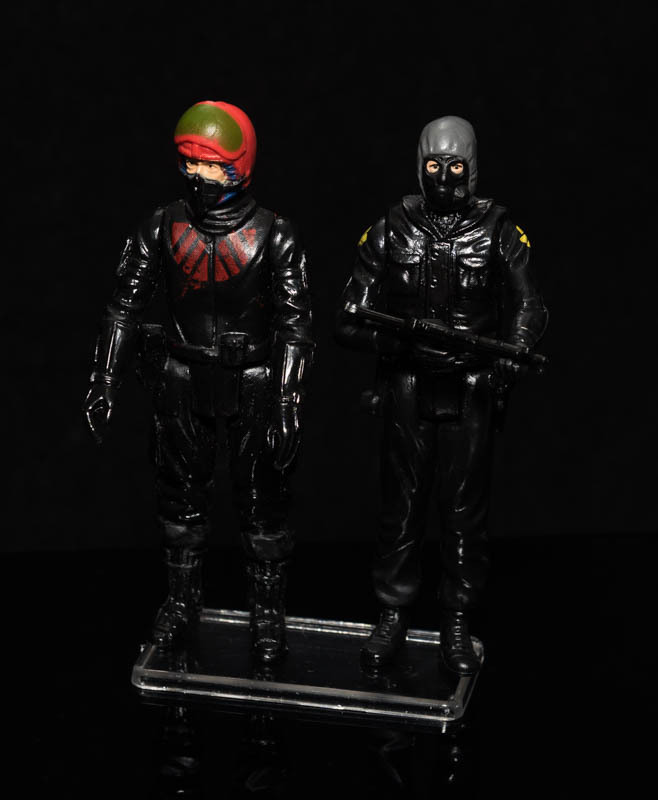 The stands shown on this page are all suitable for the vintage Action Force line plus many other modern day Action Figures. 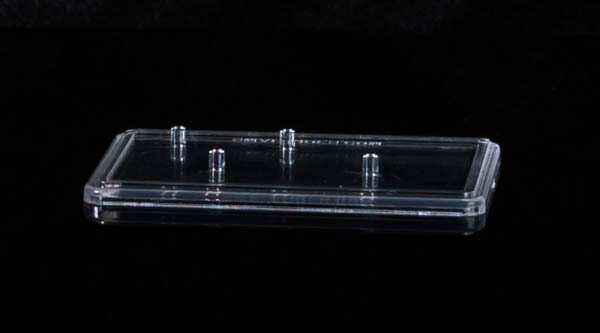 These stands are the ideal solution if your short on display space. 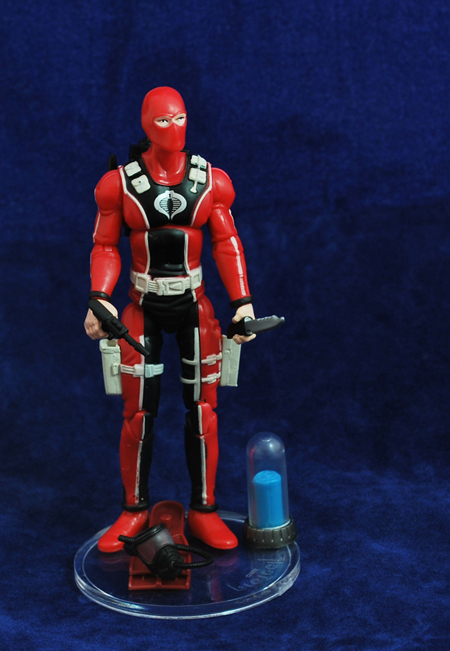 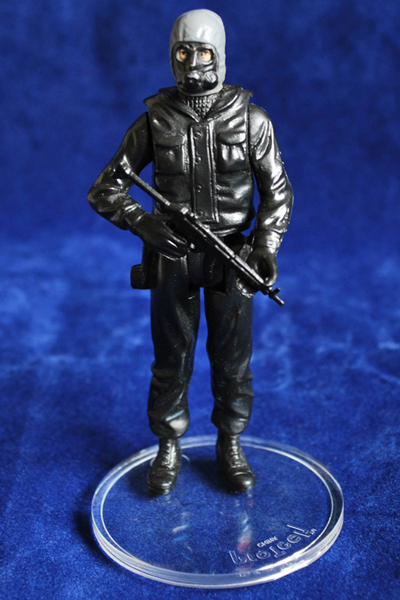 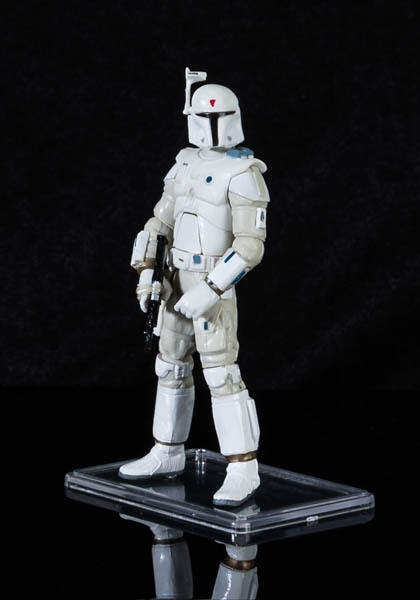 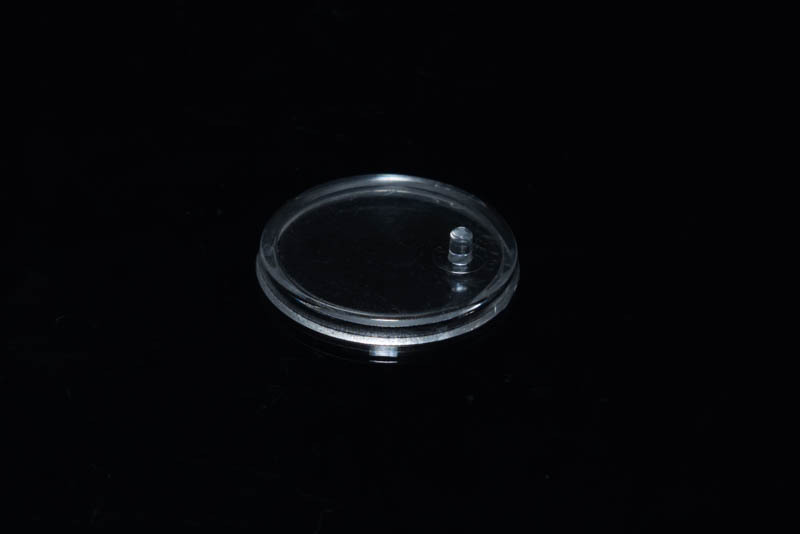 These figure stands have been designed for modern Star Wars figures, GI JOE (25th Anniversary and forward), Marvel Legends Universe, Iron Man, Forces of Valor, and any other action figure with the 2.5mm holes in feet for use with display stands. 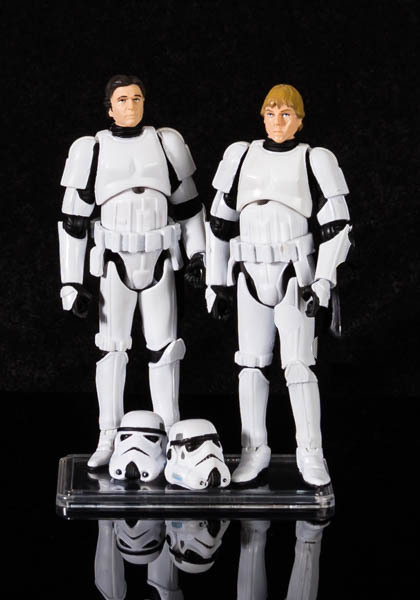 They also fit the vintage Action Force figures,Vintage Indiana Jones, Star Wars Black Series 3.75" figures etc. 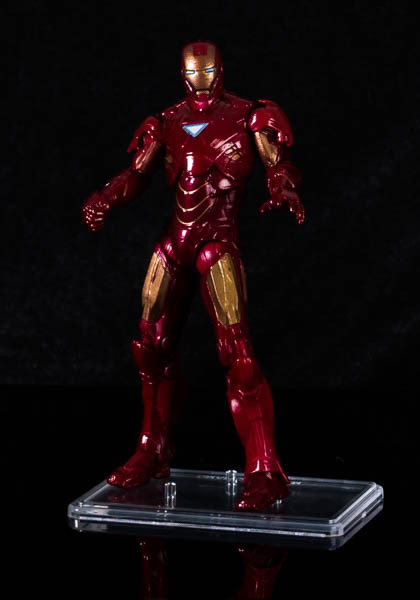 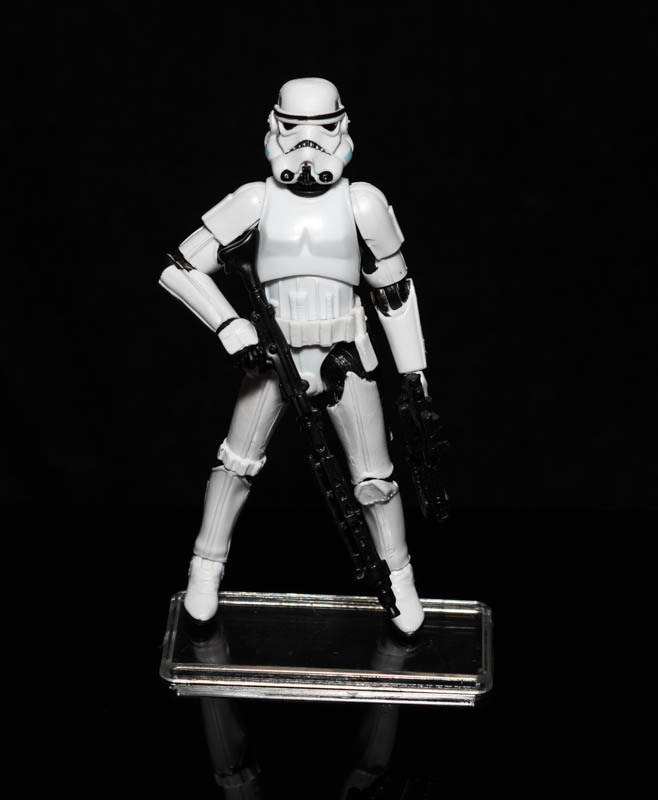 The most versatile stand on the market for modern action figures featuring four pegs to accomodate the widest variety of dynamic poses while still keeping two feet firmly attached to pegs. 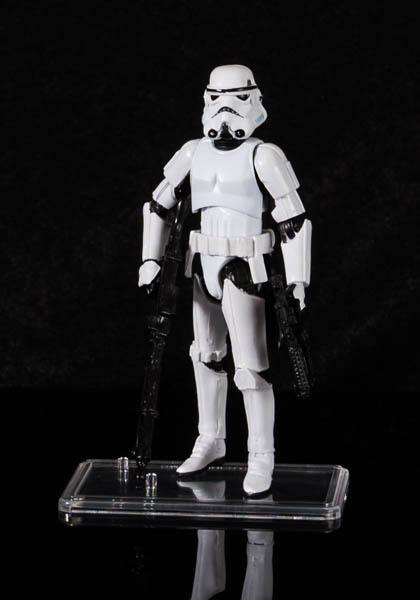 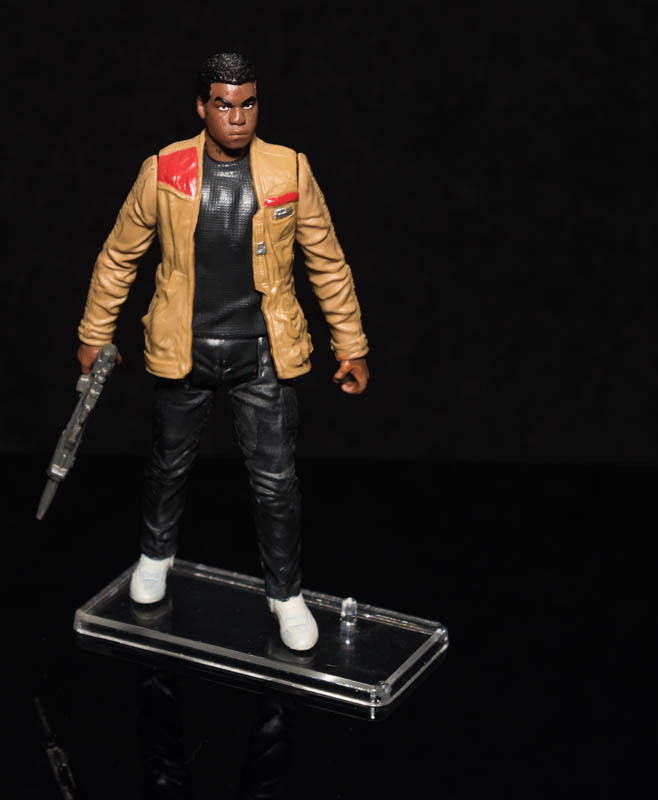 This allows dynamic and stable poses for even the most stubborn, unbalanced action figures - especially those with large and heavy accessories. 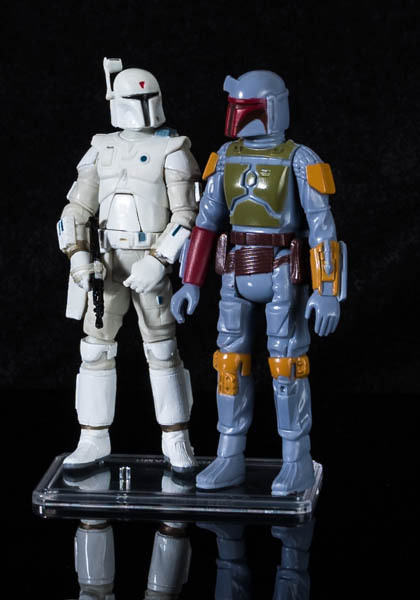 With figures that have a smaller stance you can also fit two figures on them.